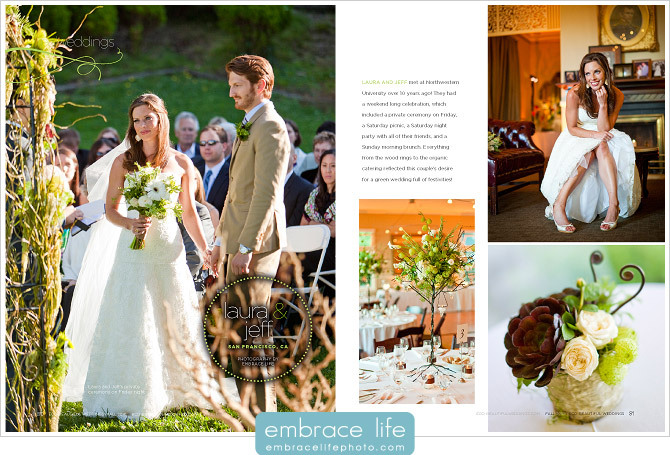 We’re excited to share with you Laura and Jeff’s four-page wedding feature in the current fall issue (Pg. 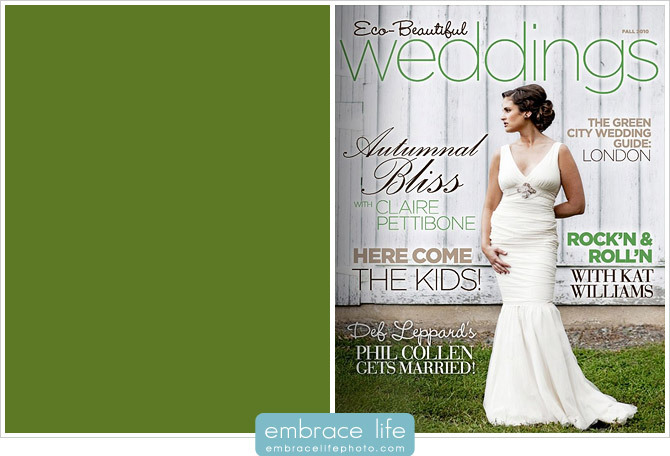 80-83) of Eco-Beautiful Weddings magazine. Their wedding was a weekend-long affair including 4 separate events for Laura, Jeff, their friends and family to enjoy together. Their vendors were chosen for their environmental friendliness and social responsibility, most notably their choice of wooden wedding rings by Touch Wood Rings. 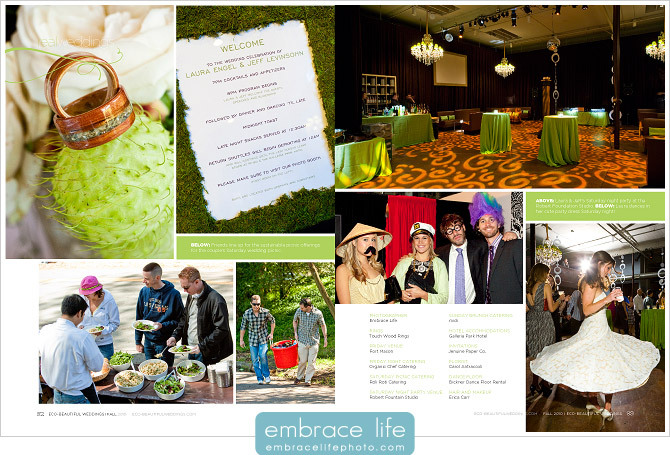 Check out the magazine for a full list of their awesome venues, caterers, florist and more. We’ve never really felt that metal rings fit our style (and I’ve never really liked the idea of diamonds – from the impact and problems of mining them, to even what they represent culturally – that you’re more loved depending on the size of this rock a man gives you). This was just a personal decision (we don’t preach to anyone else about their rings, I would never talk to my friends in any judgmental way about their choices, I believe it’s all very personal). When we realized we could get wood rings we were so excited – the idea of a natural ring was great, and Jeff loved the symbolism (wood from a very old, strong tree…like our relationship!:). Leading up to the magazine release a few other images were also featured on the Eco-Beautiful Weddings blog. Check out those posts, here and here. Absolutely stunning wedding! We were so happy to have it in our Fall Issue. It looked like such a fun and incredible weekend! Well planned, well photographed, and green to top it all off!